Is it the right time to invest in Dubai? The answer would be in the affirmative. Yes, making a property investment in Dubai would be profitable for those seeking a successful real estate portfolio. The major attractions of Dubai property investment are that there is no income tax or capital gains tax. The sales prices of homes are a tad low this year, probably due to a few cooling measures taken by the government. These government regulations included mortgage caps and increased property registration fees. This was sometime after the massive success of the Property Expo 2020 bid held during the last quarter of 2013. Expert predicts that this year and the coming year are a good time for Dubai property investors. There is a positive change in the market, especially for small and large apartments when compared to Singapore and Hong Kong. Inspite of all this, a property investment in Dubai is significantly cheaper than investing in other major cities of the world. The fact is Dubai invites foreign investors and non-UAE nationals to buy freehold properties to make it very advantageous to people looking for profitable property investment. This opens up Dubai to international standards. The most active neighborhoods for buying properties are Palm Jumeirah, Downtown Dubai, Jumeirah Lake Towers (JLT), Dubai Marina, Jumeirah Village Triangle (JVT), Jumeirah Village Circle (JVC), Dubai Sports City, Dubai South, Arabian Ranches, Mudon, Business Bay, Barsha Heights and IMPZ. These neighborhoods would be a good choice for investors who are looking to buy, sell or lease. 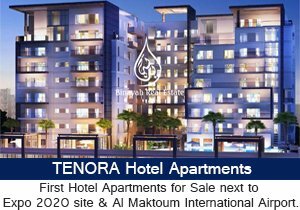 Ongoing projects like Axis Silver Apartments; Tenora NAIA Apartments by Damac, JVT Apartments are best properties to invest on. Of course, some of these neighborhoods are considered premium and you can choose to go for affordable apartments in other neighborhoods if you wish so. The premium areas for Dubai investments are Downtown, The Palm, Dubai Marina, The Greens, for Discovery Gardens, Dubai Silicon Oasis and JVC. Palm Jumeirah deserves special mention when talking about villa investments. An aerial view of Dubai shows of the true beauty of these manmade artificial archipelagos crafted intelligently in the emerald waters of the Arabian Gulf. It is one of the most beautiful places in the world to live in, and contains a horde of villas to lease and resell. The luxuries villas on this exclusive location were originally billed as being the 8th wonder of the world. If you are working and living in Dubai, then chances are that you’ve been paying rent every year. Calculate this amount and see how much money you are spending on rent. If you can convert this into mortgage, you will no longer have to pay rent, but own a home of your own too. There are plenty of homes in the above mentioned neighborhoods that would be well within your budget and the chances are high you will get mortgage approval too. Location wise, Dubai is a great resource for property investors. It is strategically connected to Europe on the north, Asia and Oceania on the east and the Americas in the West. As Dubai can be easily reached by air, water and land, people find it easy to commute as well. In certain parts of Dubai, non-residents or foreigners can only rent, they are not allowed to buy there but still, you can buy properties in other 90% of Dubai. According to the report Britons, Indians and Pakistanis are the highest buyers of Dubai properties. Buying a property in Dubai is hassle-free; the Dubai Land Department will do necessary checks before you can buy and the transaction fees are usually around 7.5-8% of the property value. As a foreigner, banks would give you 50% of the property’s purchase price, while 25% would be put in a deposit amount. Since 92% of the people who live in Dubai are expats, the government is also open and receptive to people’s needs, making it even easier to purchase. 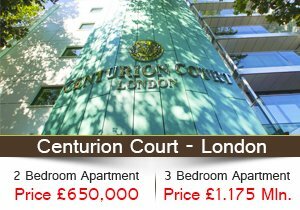 Property investment is a straightforward activity here – no hidden deals and fees! The market is also constantly developing in Dubai, and it is always regulated, making it safer for non-residents. The most dynamic neighborhoods for buying properties are Palm Jumeirah, Downtown Dubai, Jumeirah Lake Towers (JLT), Dubai Marina, Jumeirah Village Triangle (JVT), Jumeirah Village Circle (JVC), Dubai Sports City, Dubai South, Arabian Ranches, Mudon, Business Bay, Barsha Heights, and IMPZ. These neighborhoods would be a great choice for investors who are looking to buy, sell or lease. Likewise, ongoing projects as: Axis Silver Apartments; Tenora NAIA Apartments by Damac, JVT Apartments are the best properties to invest in. Of course, some of these neighborhoods are considered premium and you can choose to go for affordable apartments in other neighborhoods, if you wish so. Premium areas in Dubai investments are Downtown, The Palm, Dubai Marina, The Greens, Discovery Gardens, Dubai Silicon Oasis and JVC. Palm Jumeirah deserves exceptional mention, when talking about villa investments. An aerial view of Dubai shows you the real magnificence of these intelligently crafted manmade archipelagos in the emerald waters of the Arabian Gulf. Actually, it is one of the most attractive places in the world to live in, and contains a horde of villas to lease and resell. The luxurious villas on this high-class location were promoted as being the 8th wonder of the world. We offer our clients the command of choice like no other Real Estate Company in Dubai does, and our consultants have been trained to cater to our buyers by listening to their needs, responding speedily, and getting them that perfect purchase which maximizes the value of their investment. Our core approach identifies our clients as the cornerstone of our business. In order to wholly guard your interests, it is crucial to choose an agency that is both eligible and licensed. By choosing Binayah Real Estate you can feel safe knowing that our property consultants are fully registered, and in complete compliance with the rules set forth by the Real Estate Regulatory Agency known as RERA. Our qualified and professional sales team with its brilliant understanding of Dubai Real Estate market is always satisfying clients from all over the world, and our outcomes speak volumes. We have generated a concrete client base within the whole GCC as well as international markets. Binayah Real Estate’s property consultants have comprehensive understanding of all key areas in Dubai, they guarantee specialty by securing accurate information about operating expenses, building management, sales and leasing rates of a particular area. This helps us provide you with unrivalled knowledge and expertise on any area that you are interested in. We make your selling experience hassle free, by handling all the documentation for you. 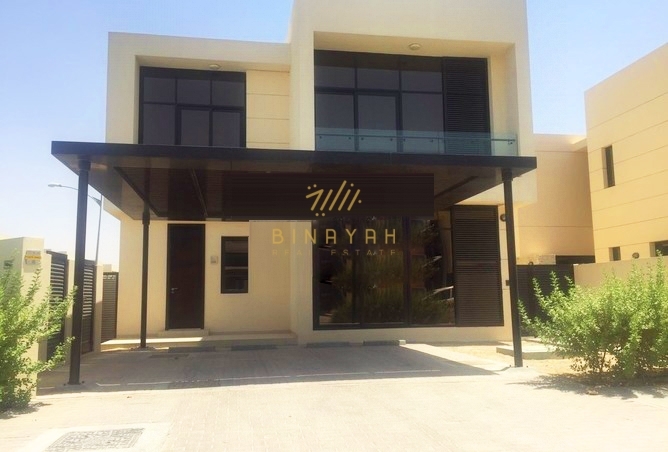 All title deeds, floor plans, legal documentation, Dewa registration, or any information required is gathered by Binayah Real Estate to secure the leasing process for you. Marketing is Binayah Real Estate core focus, we believe in the importance of timing in regards to marketing, whether it is a ready property or an off plan project. Marketing to all leading community portals. Promotion to our vast client and agent networks. When it comes to your ready property, we reach out to our clients through our massive presence on all the online and print media both locally and internationally. Besides, our infinite international agent network allows us to reach out to customers that would not have easy access to this market. On the other side, regarding off- plan projects, the time an idea is conceived, we start the marketing process and determinedly execute until the handover and after the launch as well. Our marketing department years of experience and extensive knowledge of the Real Estate market allow us to effectively plan the project launch, while phasing out the sales process over the period of construction, to ensure the maximum returns for project owners. To protect a buyer and generate noteworthy demands, we need to agree with you on a sale price that will get your property rented/sold rapidly. Our marketing experts appraise your property on the basis of a comparative market analysis, so that we could specify for you a price that relates to the current market trend, while being highly reactive to the market and meeting your demands as a seller as well.